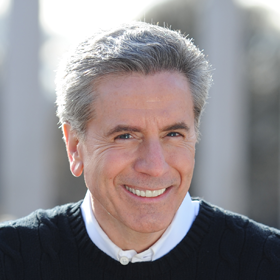 Dr. Cellucci is an accomplished serial entrepreneur, seasoned senior executive and Board member possessing extensive corporate and Venture Capital experience across a number of worldwide industries. Prior to his appointment to Bravatek’s senior management team in June 2014, Dr. Thomas Cellucci served as the US Federal Government’s first ever Chief Commercialization Officer at the US Department of Homeland Security (DHS) and the White House, working directly for President George W. Bush and President Barack Obama. There he expanded the role of public-private partnerships within government and increased opportunities for cooperative research and development activities in support across government. As Chief Commercialization Officer, Dr. Cellucci was responsible for initiatives that identified, evaluated and commercialized technology for the specific goal of rapidly developing and deploying products and services that meet the specific operational requirements of DHS’s operating components, first responders and critical infrastructure/key resources owners and operators. Dr. Cellucci’s outreach with both the private and public sectors to establish and foster mutually-beneficial working relationships that facilitated cost-effective and efficient product, service and technology development efforts was viewed as goal for all federal agencies. He published at DHS alone, eight comprehensive books dealing with the development of operational requirements and innovative public-private partnerships in additional to over 26 articles and other resources that facilitate communication both across government and between the public and private sectors. In 2010, while continuing to serve as Chief Commercialization Officer, Dr. Cellucci was asked to serve as Director of the Office of Public-Private Partnerships and was responsible for the effective integration of the Long Range Broad Agency Announcement (LRBAA) procurement process, Office of SAFETY Act Implementation (OSAI), Small Business Innovation Research (SBIR) Office as well as the Commercialization Office. In addition, he was asked to serve as the Director of the Research & Development Partnerships (RDP) Group to integrate and leverage the more than $9B in DHS assets and the expertise of more than 1400 team members through the group’s investments in national labs, universities, international partners, special programs and the private sector and government interagency partners to deliver solutions for the Homeland Security Enterprise (HSE). After using his integration and management skills to form a cohesive RDP group, he was then asked to serve as a Senior Counselor, as well as the Chief Commercialization Officer at DHS. Dr. Cellucci is an accomplished serial entrepreneur, seasoned senior executive and Board member possessing extensive corporate and Venture Capital experience across a number of worldwide industries. Profitably growing high technology firms at the start-up, mid-range and large corporate level has been his trademark. In 1999, he founded a highly successful management-consulting firm, Cellucci Associates, Inc.
Dr. Cellucci authored or co-authored more than 24 books and over 192 articles on requirements development, commercialization, nanotechnology, laser physics, photonics, environmental disturbance control, MEMS test and measurement, and mistake-proofing processes. He co-authored ANSI Standard Z136.5 “The Safe Use of Lasers in Educational Institutions.” He has also held the rank of Professor or Lecturer at institutions like Princeton University, University of Pennsylvania and Camden Community College. Dr. Cellucci was an early pioneer in advancing the field of nanotechnology in American science, engineering and manufacturing. He was instrumental in progressing America’s nanotechnology agenda through his bi-partisan work with Presidents Bill Clinton and George W. Bush and many leaders in the United States Senate. His contributions made possible the National Nanotechnology Initiative (NNI) signed by President George W. Bush in 2004 that added over $3.9 billion to the federal budget specific to the advancement of nanotechnology. Dr. Cellucci was active in discovering and fostering strategic partnerships that brought nanotechnology into a wide array of consumer products – transitioning Zyvex Corporation, as its President and Chief Operating Officer from a nanotech technology-push to market-driven enterprise. Profitably growing firms has been his trademark. In addition, he regularly interacts with high-ranking members of the United States government—including the White House, US Senate and House of Representatives. He is often asked to serve as keynote speaker at both business and technical events around the world. As a result of his consistent achievement in the commercialization of technologies and role as DHS’s first Chief Commercialization Officer, Dr. Cellucci has received numerous awards from industry, government and business. In addition, he has had the opportunity to interact with high-ranking members of the United States government—including the White House, US Senate and US House of Representatives—having provided several executive briefs to three Presidents of the United States and ranking Members of Congress. Dr. Cellucci is the first ever U.S. Federal Government representative to the Council on Competitiveness, a prestigious group of senior executives and thought leaders in business and academia focused on ensuring the global competitiveness of the US in technology, innovation, education and industry. Dr. Cellucci earned a PhD in Physical Chemistry from the University of Pennsylvania (1984), an MBA from Rutgers University (1991) and a BS in Chemistry from Fordham University (1980). He has also attended and lectured at executive programs at the Harvard Business School, MIT Sloan School, Kellogg School and others. Dr. Cellucci possesses active TS/SCI clearance.